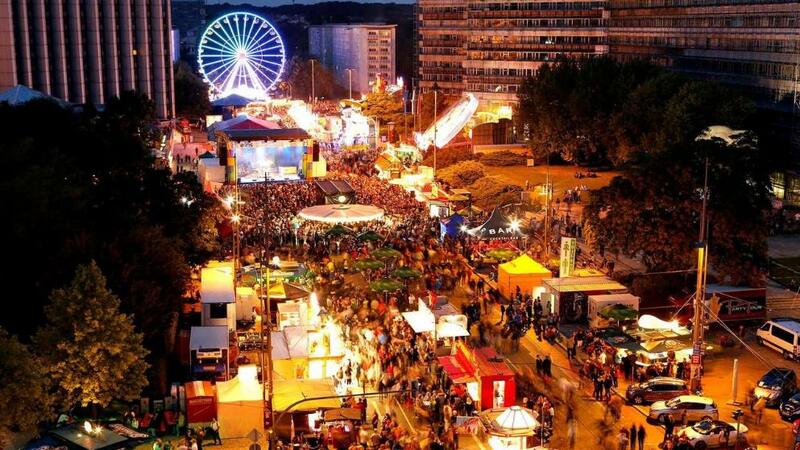 A big “Stadtfest” (City Festival) was going to take place in Chemnitz between 24 and 26 August. 250,000 visitors were expected. The City Festival apparently progressed without serious problems until the early morning of Sunday , 26 August. At that time, as reported by the Police, there was a violent confrontation between “several persons of different nationalities” in the Chemnitz city center. Three people were severely injured and had to be taken to hospital. One of them, a German citizen, died in the hospital as a result of stab wounds. The German citizen killed was identified as Daniel Hillig, 35 years old, father of a child, carpenter by trade. He was of mixed German and Cuban origin. The other two victims were rumored to be “Russlanddeutsche”, “Russian Germans”, that is Germans who for generations lived in Russia but then immigrated into Germany. The alleged killers fled the scene but were soon arrested by the police. They were identified as Yousif Ibrahim Abdullah, 22 years old, from the Iraq and Alaa Sheikhi, 23 years old, from Syria. Yousif Abdullah has a criminal record with six offences which include fraud, drug possession and grievous bodily harm. It is still not clear what the occasion for the killing and injuring of the victims was. One of the initial rumors was that the Germans tried to defend some women who were sexually molested by Arab men. Another of the rumors was that the Germans were about to be robbed by Arabs and that they tried to defend themselves. None of these rumors have been confirmed by the Police. Many other things are still open and unclear about this case, too. For example, it is not clear what the role of the two injured victims was. It is not even clear what their injuries were. Newspapers have been curiously silent about the circumstances of the crime. One would assume that the injured men would have been able to give a report about their view of what has happened, but nothing is known about that either. The media—which had been very keen on picking up any sign of right wing activity in Chemnitz (more about this later)—did not seem to be very interested in their fate. In general, the events of the night of 26 August soon receded into the background. What, instead, became far more important for the media and for the generally left-wing politics of Germany, was the aftermath of the events.